Your first order of business should be selecting your dates. Then you should book transportation. Most arrivals on St. Barth come thru St. Maarten (SXM) or San Juan (SJU). United, Delta, American, and Jet Blue fly from the US to Julianna Airport on St. Maarten. Several airlines fly from major cities in Canada and Europe to St. Maarten or San Juan. Tradewind Aviation (1-800-376-7922) offers deluxe service between San Juan and St. Barth. They also fly from St. Thomas, USVI (STT) to St. Barth. Tradewind is offering attendees a $50 discount per person for each flight. Use promo code SBHDental19 for flights January 1 – 22, 2019. 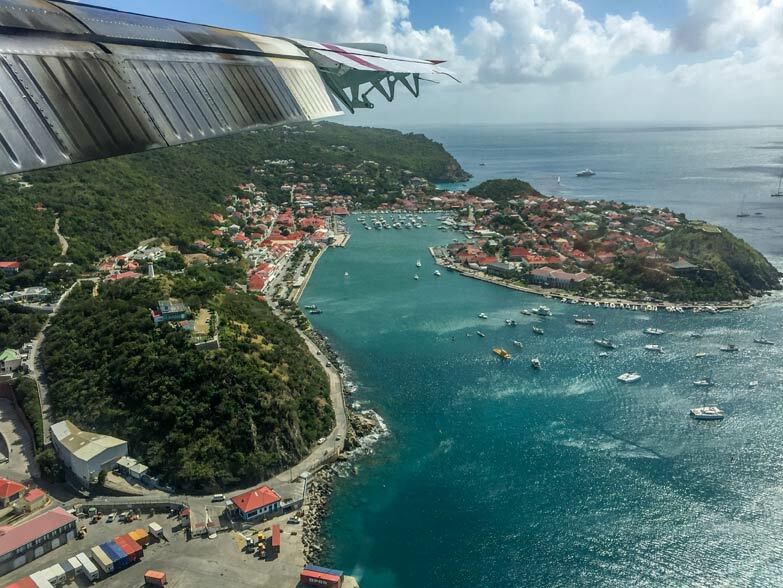 Two airlines make the 10 minute flight from St. Maarten to St. Barth (SBH). Winair and St. Barth Commuter. You should leave at least 90 minutes in each direction between flights in St. Maarten if you are using carry-on luggage; more if you plan to check flights for your trip to St. Barth. You can bypass immigration in St. Maarten if you travel with carry-on luggage. St Barth Commuter’s site has a great map that illustrates the best path for navigating the airport in St. Maarten. Please note the airport is still using tents and for now airport employees will give you instructions when you land. If you wish to stay in a hotel look at the web sites of these hotels and just let us know your preference. We will make the reservation for you. Print out our registration and auto forms. Fill these out indicating your hotel and vehicle choice. To expedite the payment process, please email Eva at info@saintbarthdental.com and she will send you the banking info for wire transfers. Send the Registration to our New Jersey address with the $1500 Registration Fee if you prefer not to wire funds, but it could take weeks to deposit your check. We will confirm your attendance. Your hotel will confirm your room and ask for a deposit. If you wish to stay in a villa, make your selection. Fill out registration and auto forms and mail them to us with your registration fee. We will book your villa. The agency will confirm your villa and request a deposit. In December, you will be sent a Welcome letter with a schedule and directions to events. First time attendees will be provided detailed information and directions to hotels. We also provide information about the best restaurants and beaches to enhance your free time on our island. The SBDA earns commissions from each hotel, villa and car reservation we make and these fees help to fund the cost of organizing the conference and keeping the registration fees low. If you reserve accommodations or a car rental directly; use a villa agency other than one of the five we recommend; or reserve through a travel agent you will be charged a higher event registration fee ($2100). If you reserve a villa or hotel through one of our partner agencies, please report which agency you used on the registration form and we will be in contact with them. Want VIP service, including baggage transfer at St. Maarten or San Juan? We now work with Saint Barth Services to ease your transit through the airports. Contact Eva at info at SaintBarthDental.com for pricing and information. Or travel Luggage Free with Luggage Free services.